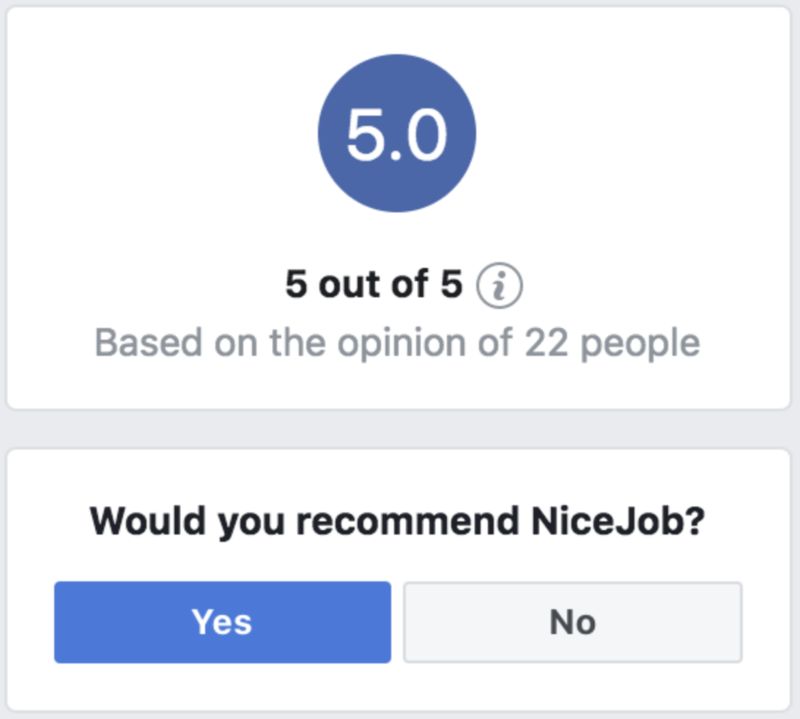 If you've ever left a review on Facebook before, it's always worked pretty much like every other rating site. You visit a Facebook Company page, click the review tab, enter a 1-5 star rating, and provide a brief comment. This is essentially the same pattern as used by other major review sites, like Google, Yelp, and TripAdvisor. 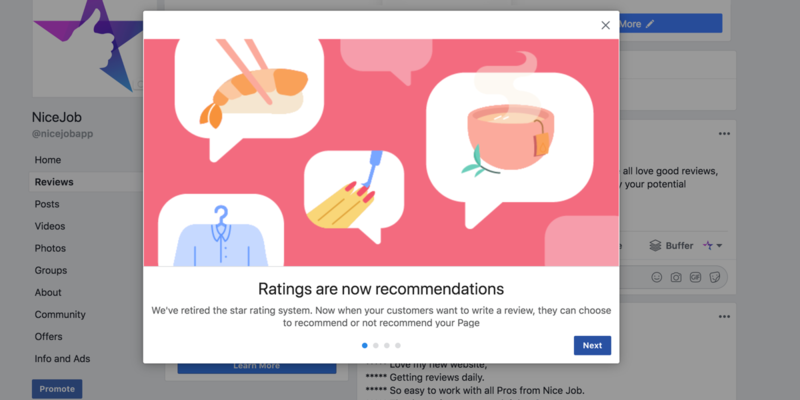 Why has Facebook switched its 5 star rating system? Multiple choice rating systems are always a bit subjective. And the more choices in a rating system, the more subjective each choice becomes. In a 5 star review rating system, some customers may view 5 star ratings as utter perfection, something that can be rarely, if ever, obtained. Other customers may rate almost any product or service 5 stars, as long as the product was satisfactory. The more options any decision has, the more room for interpretation there will be between the given options. A 'yes' or 'no' question on the other hand is a binary decision, there's only 2 available outcomes. A customer is presented with a unambiguous question: "Do you recommend Company X?" Their answer to that question is open to very little interpretation, it's either 'yes' or 'no'. Another advantage of limiting the potential responses is that it generally increases response rates. Choosing between 5 options is intrinsically more difficult than choosing between 2 options. And people are generally more likely to act on the path of least resistance. Changing ratings to recommendations will likely help Facebook significantly increase their response rates. Do I need Facebook recommendations? A resounding yes! Here's why. People love social validation. Admit or not, most people really do care what other people think. So if your friends all rave about a product or a service, we feel good about making that same choice as it's already been socially validated. This influence of social validation happens most of the time without us ever knowing it. In the past, social validation required in person contact. Thanks to Facebook, we have the biggest social validation engine the world has ever seen (for better or for worse). Personal contact is no longer needed, a single post on Facebook can reach thousands of people. So what happens when someone recommends your product or service on Facebook? Everyone they're connected to on Facebook can see their recommendation. Let's say your a home service company. You do a great job, and your customer leaves you a Facebook recomendation. That customer is Facebook friends with many of the neighbours and others in the community. All these connections now see that this person recommended your company. That should get you really excited about Facebook recomendations! Recommendations are powerful social validation, just like review ratings. 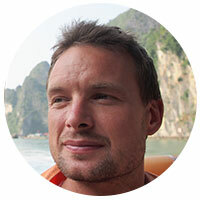 In the coming years, businesses that don't make reputation marketing a core piece of their marketing will find it very hard to compete. Do great work. Offer a great product. Create exceptional experiences for your customers. And finally, ask for recommendations! So many companies that have a great product or service, fail to take that last step in enabling their customers to share their experiences in an easy way. 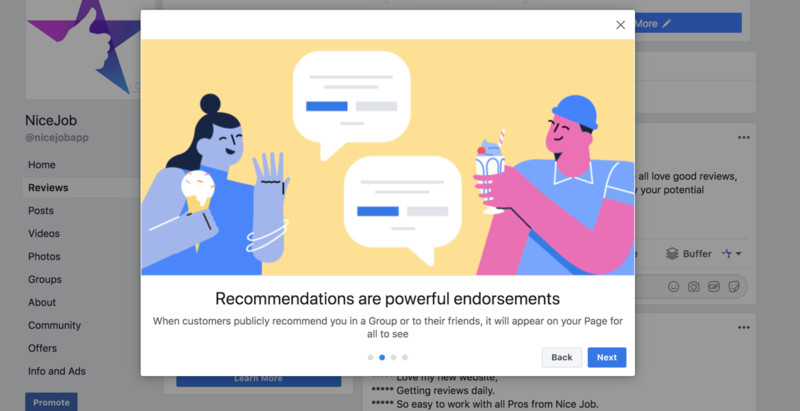 Facebook recommendations may need to be turned on for your company page, here's the step by step tutorial from Facebook on how to do this. So how do you feel about Facebook changing ratings to recommendations? Let us know in your comments below!